Play 9 holes with cart, every Monday after 4 pm, with two (2) complimentary drink tickets for only $19. Plus, compete with other local businesses for the league championship. 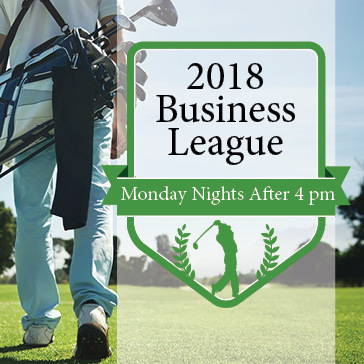 The league will begin on Monday May 13 and will end with an 18 hole championship on Saturday August 18.